It's All My Blog: Which devices will get Ice Cream Sandwich? Which devices will get Ice Cream Sandwich? 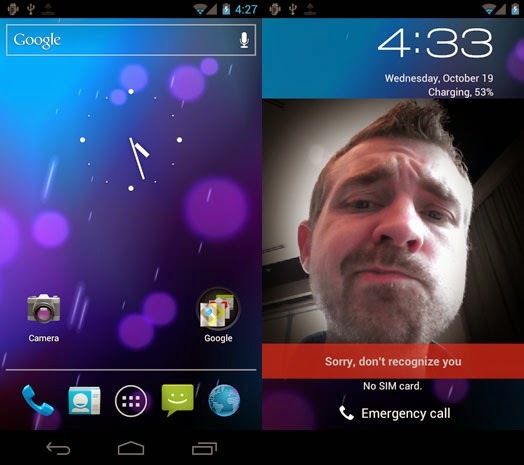 Android 4.0 is coming, and it's going to be glorious. Now that we know exactly what the Ice Cream Sandwich is made of, only one question remains: exactly which phones will get the green light to upgrade to the newest version of Google's mobile OS? Details are beginning to trickle out from the woodwork, and below the break you can check out our list of lucky devices that have been confirmed to get the official refresh at some point in time. We're still awaiting official word from a few companies regarding their upgrade intentions, so we'll continue to add more to the list as they stream in. For now, join us after the break to find out which ones have been given the stamp of approval -- or the cold hard rejection letter. Note: If you don't see your device listed, don't fret... yet. If it hasn't been confirmed or denied, the OEM's likely still deciding which products will get the upgrade to Ice Cream Sandwich. Keep checking back here from time to time, as I'll continue to update the list. "Google recently announced the latest update for Android, Ice Cream Sandwich, which brings some exciting new features and capabilities. At ASUS, we pride ourselves on delivering a great experience with our products, thanks to frequent updates that further enhance our products' capabilities. We're delighted to confirm support for Ice Cream Sandwich on the ASUS Eee Pad Family – our aim is to bring the latest Android update to the Eee Pad Series, but at this time we are unable to set a date for its release. Please stay tuned for more news on our Ice Cream Sandwich upgrade plans." We plan for both the Vivid and Galaxy S II Skyrocket to be upgraded to Ice Cream Sandwich. HTC knows how excited our fans are to get their hands on Google's latest version of Android, Ice Cream Sandwich, so we're thrilled today to announce the first wave of HTC phones that will receive upgrades: We can confirm the brand new HTC Vivid is upgradeable to Ice Cream Sandwich. In addition, Ice Cream Sandwich is coming in early 2012 to a variety of devices including the HTC Sensation, HTC Sensation XL and HTC Sensation XE, as well as the HTC Rezound, HTC EVO 3D, HTC EVO Design 4G and HTC Amaze 4G through close integration with our carrier partners. We're continuing to assess our product portfolio, so stay tuned for more updates on device upgrades, timing and other details about HTC and Ice Cream Sandwich. LG firmly denies the rumors that claim LG will not be providing the Ice Cream Sandwich OS update for the LG Optimus 2X. These rumors are NOT true. LG is currently in the process of planning the Ice Cream Sandwich OS update for the LG Optimus 2X as well as other LG high-end smartphones. Detailed information on the Ice Cream Sandwich OS update schedule for specific models will be announced, once the Ice Cream Sandwich OS is publicly released by Google. Please stay tuned for more updates from LG. MX market remains unchanged. However, MX and M9 we will soon upgrade to 4.0 (Jack Wong, CEO). We've confirmed that DROID RAZR/ Motorola RAZR, DROID BIONIC, and Motorola XOOM (all editions) will get an upgrade to ICS... we have not confirmed any devices will not get ICS. Samsung Mobile U.S. has not made any official announcement plans for Ice Cream Sandwich software updates to any of our US products. We will let our customers know as soon as we have more information to share. From AT&T: We plan for both the [HTC] Vivid and [Samsung] Galaxy S II Skyrocket to be upgraded to Ice Cream Sandwich. Sony Ericsson is currently rolling out the upgrade to Gingerbread 2.3.4 across its entire 2011 Xperia smartphone portfolio. This software upgrade will be available through a phased roll out in select markets. Beyond Gingerbread 2.3.4, we plan to upgrade our 2011 Xperia smartphone portfolio to the next Android platform made available to us. ZTE hasn't issued an official statement about Ice Cream Sandwich or when we will introduce new products using the upgraded OS. However, we continue to work very closely with Google to ensure we deliver the best possible Android user experience across all of our devices and with all of our partners.